Announcement I'm celebrating my birthday this week with a SALE! 25% off everything in the shop through April 21. I'm celebrating my birthday this week with a SALE! 25% off everything in the shop through April 21. Just the fabrics I was looking for - and arrived very quickly from Alaska to Florida. Thanks! Sorry I don’t have a photo yet. Can’t wait to fix. 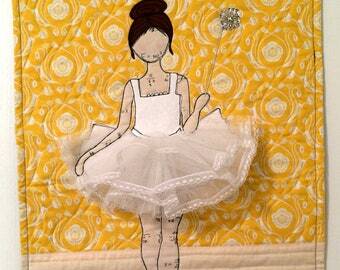 Plan to make with my granddaughter for her mom. 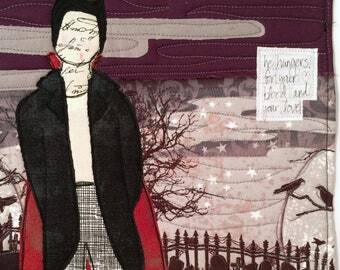 believemagic is an adventure in happiness for artist, Carrie Payne who combines fabric, thread, paper and found objects to create art quilts, fabric books, journals and other stitched creations. 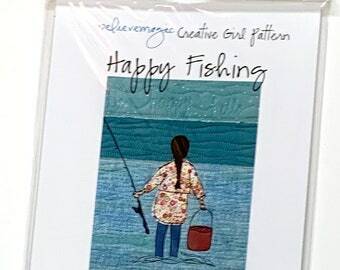 Her artwork has been featured in publications such as Sew Somerset, Art Quilting Studio, American Quilter Magazine, and Somerset Holidays & Celebrations. 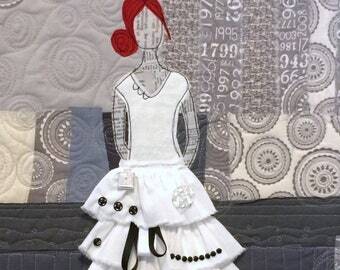 In addition to making art, Carrie designs art quilt patterns and text print fabrics and teaches classes on showing the world your creativity with fabric and thread. 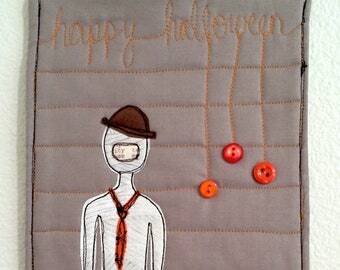 Creating happy is a passion for Carrie and she hopes to inspire others to have creative fun each day. 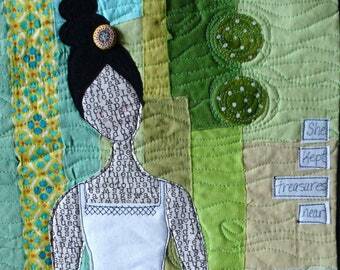 Carrie Payne is a mixed-media fiber artist and quilter who combines fabric, thread, paper and found objects to create art quilts, fabric books, journals and other stitched creations. See more at www.believemagic.com. I partner with Spoonflower to have images of my artwork printed on high quality fabric that can be framed or used in your next stitched project. I also partner with Spoonflower to have my custom designed fabrics such as my handwriting printed on quality quilting cotton fabric. 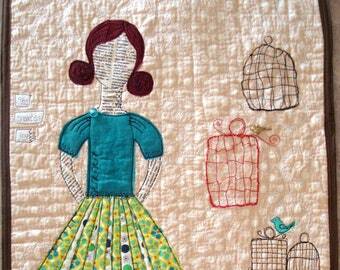 My Creative Girl Art Quilt pattern includes faces printed on fabric. 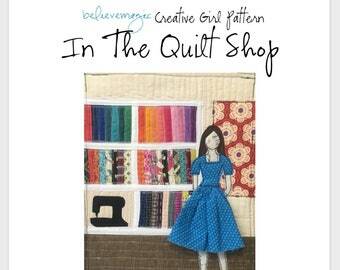 I partner with Spoonflower for the printing of the fabric.